This entry was posted on February 19, 2013 by mightyducksauce. It was filed under bar information . HAPPY BIRTHDAY TOM!!!! 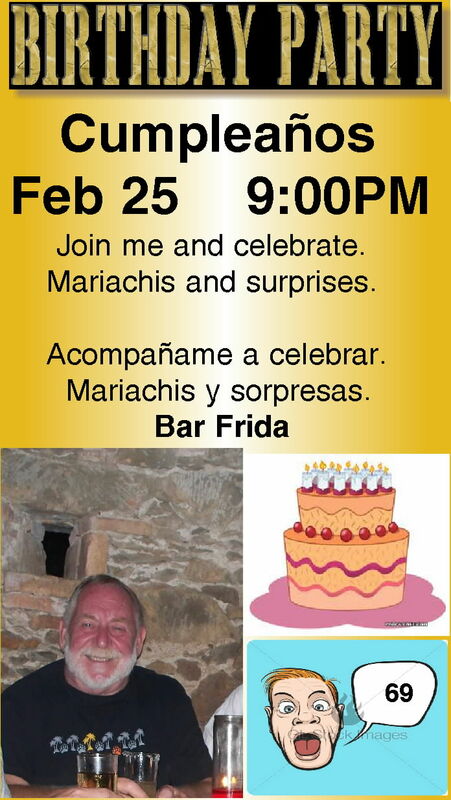 Wish I were there…….temperature to reach -13F tonight and snow storm on my birthday (Feb 22nd) Say HI to friends and staff at FRIDAS !!! Jim Sent: Tuesday, February 19, 2013 3:44 PM Subject: [New post] Come celebrate Tom’s birthday with Us!